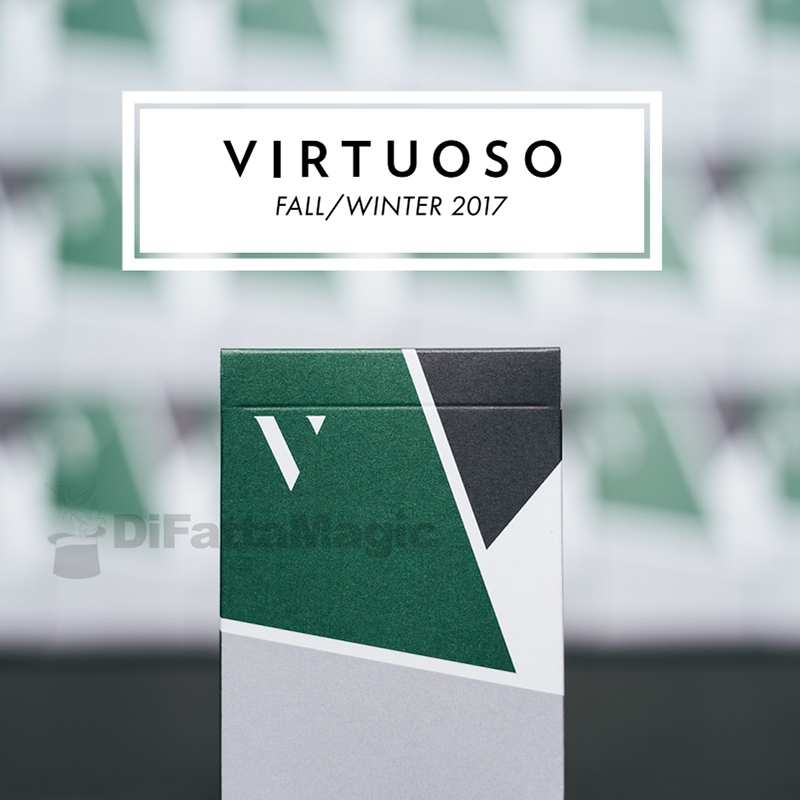 Taking Adaptive Aesthetics design to the next level, the new FW17 Virtuoso deck features a brand new multi-faceted design which forms fluid yet rhythmic patterns in spreads and displays, and paints the air with incredibly expressive movements across countless other card flourishes. Beneath its surface, the deck's thinner yet snappier stock also makes for the most addictive Cardistry experience. The tuck case has been updated, giving it a smoother touch as well as a sturdier and more durable build. • The cards are poker size. Αυτό το προϊόν προστέθηκε στον κατάλογό μας την Sunday 24 December, 2017.